suffrage to women. Vote YES or NO. 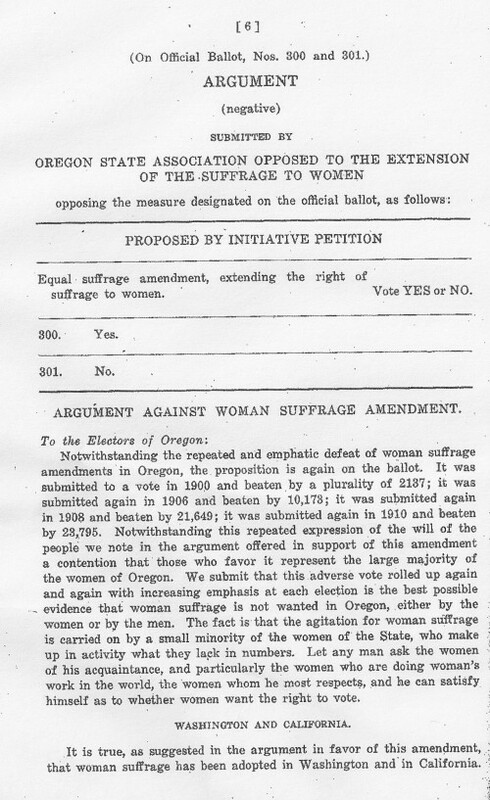 ARGUMENT AGAINST WOMAN SUFFRAGE AMENDMENT. himself as to whether women want the right to vote. that woman suffrage has been adopted in Washington and in California.